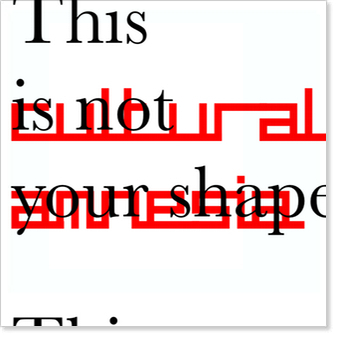 This Is Not Your Shape is the first full album of new material from Cultural Amnesia for 28 years. Seven of the nine tracks are released for the first time here. 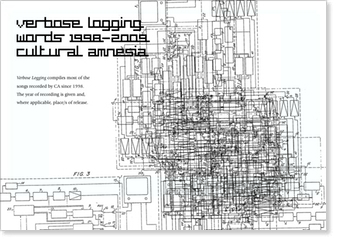 The accompanying designed booklet, Verbose Logging, contains the lyrics of almost all the songs recorded by CA since they resumed activity in the late 90s. 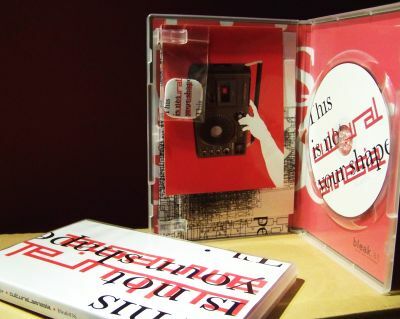 The video for 'Contains' is the first official video from the band ever. Cultural Amnesia were first active 1980–1983. They released three cassette albums and appeared on some of the better-known cassette compilations. They had a notable associate in the young Geoff Rushton, soon to change his name to John Balance. He wrote songs for them and acted as their manager (one of the songs on This Is Not Your Shape is dedicated to him). After 1983 nothing more was heard from CA. A contracted vinyl album failed to appear. But in 1998 the three members of the band recorded some new material, and in 2003 a website was launched. Since then they have been recording more new material and have released two well-received collections of their 80s recordings and a few of their new tracks. We hope you enjoy the contemporary sound of these intriguing survivors from the heyday of UK postpunk. Recorded September 2006. Lyrics by Max Greenway. We were in Greece and going to go to an island where one of the sights is a (human) bone-decorated chapel. Walking on the beach Max composed this song in anticipation. CA have become an intergenerational band - see Dummyface. This track was first released on the Little Savage mini-CD which accompanied the early sales of the Enormous Savages LP. Initially recorded December 2009. The rhythm track of the song is mainly built using loops made in the iPhone app Hexatone, a very weird and excellent generative (and hexagonal) drum sequencer. Initially recorded September 2006. Guest vocal: Theodora. Recorded September 2006. Lyrics by Will Norland. This track is built - like The Product Chunk Funk - on a loop that dates from a 1980s CA recording. Initially recorded September 2006. Lyrics taken unedited from a spam email. We prepared quite a lot of these spam-songs, as well as some spam-prose, but this is the only one we've recorded. The Spam Poetry Institute - spampoetry.org - is a site dedicated to this new literature. Initially recorded December 2007. The track builds on a recording made circa 1980. At one point we thought it would be a good idea to record several long song-length drum and Korg MS10 bass-pulse loops in order to use them as backings for live improvisations in concerts. The improvisations never happened, but decades on, the backing tapes have proved rather useful. Dedicated to Geoff Rushton. The song was recorded in September 2004 in our first session for six years. We tried to re-establish contact with Geoff after our website went up in 2003. We had not had any contact for the best part of 20 years. In October 2004 we received a sweet message from him, but two or three weeks later he died. The track was first released on the Little Savage mini-CD which accompanied the early sales of the Enormous Savages LP. John's guitar is beautiful. Perfect for the song. ﻿Initially recorded September 2006. Lyrics from the poem Just a Smack at Auden (1938) by William Empson (1906-1984). We first had the idea of putting it to music in the early 80s but never got round to it. In the process of contacting the Estate for permission, CA were pleased to get approval for the track from one of Empson''s sons and from the editor of the collected poems. The song''s rhythmic spine was made using XPhraze, a wonderful bit of software that''s now sadly discontinued. 'Waiting for the End' ('Just a Smack at Auden') © Estate of William Empson, by kind permission of the Curtis Brown Group Limited. What is there to be or do? What''s become of me or you? Are we kind or are we true? Sitting two and two, boys, waiting for the end. Crack upon the hour, boys, waiting for the end? Shall I pluck a flower, boys, shall I save or spend? All turns sour, boys, waiting for the end. Shall I send a wire, boys? Where is there to send? All are under fire, boys, waiting for the end. Shall I turn a sire, boys? Shall I choose a friend? The fat is in the pyre, boys, waiting for the end. Sitting in cold fear, boys, waiting for the end? Via the Tower of Babel, boys? Christ will not ascend. He''s hiding in his stable, boys, waiting for the end. Hiding from our trouble, boys, waiting for the end? Double and re-double, boys, waiting for the end. Playing bluff and hale, boys, waiting for the end? Dying ere it fail, boys, waiting for the end. Playing at the child, boys, waiting for the end? Each of us enisled, boys, waiting for the end. What was said by Marx, boys, what did he perpend? No good being sparks, boys, waiting for the end. Lights becoming darks, boys, waiting for the end. Not a chance of blend, boys, things have got to tend.